Christopher Duigan of Pietermaritzburg is a true professional of the piano. He is an accomplished and indefatigable performer with a wide-ranging repertory in solo recitals, chamber music and orchestral concerts. He plays in about 70 concerts every year, and it was entirely in character that he should step into the gap when a Friends of Music concert due to be held at the Durban Jewish Centre was cancelled by two musicians who are based in the United States. 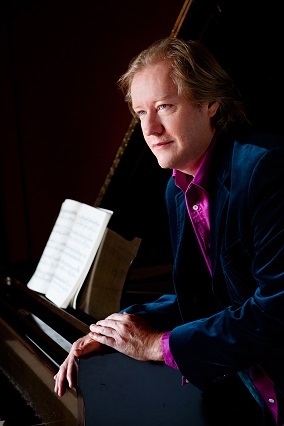 In their place Duigan presented an all-Chopin recital, familiar music of rare quality, and he was rewarded with an enthusiastic response from a big audience. Frederic Chopin is of course a supreme artist of the keyboard, and Duigan gave an impressive display of the poetry and romance, power and passion, of this music. Four Nocturnes, two Waltzes and three Etudes represented the shorter Chopin pieces that have been much loved by listeners and (advanced) students over the past 200 years, and there was an ample selection from the big virtuoso works – two Ballades, the Fantasie-Impromptu and a Scherzo. Duigan has an outstanding keyboard technique, and he delivered this difficult, challenging programme with great verve and authority, sometimes with a speed and agility that drew cries of Bravo from his audience. He introduced sections of the programme with brief comments from the stage. As a general rule I find this style of presentation a trifle tedious, but Christopher Duigan was an exception. His remarks were to the point, informative, informal and humorous.